"Heart Failure” maybe overstates the case: It does not mean your heart has stopped or is on the verge of stopping. Instead, it means your heart isn’t pumping enough blood and oxygen for other organs in your body. It’s still a serious condition that requires medical attention. It’s also relatively common. About 5.7 million people in the United States have heart failure, according to the Centers for Disease Control and Prevention. Close to half of people diagnosed with heart failure die within five years. Weight gain accompanied by swelling in the feet, legs, ankles or stomach. Note: These symptoms are caused by fluid buildup. Your doctor might describe different types of heart failure. Left-side heart failure: This side, the one that pumps blood to the body, is also the most common area affected by heart failure. In this scenario, the left ventricle -- the heart’s lower chamber -- fails to pump oxygenated blood adequately to the rest of the body. Right-side heart failure: When the right side can’t pump enough blood to the lungs for oxygenation. This might cause fluid buildup in the ankles, feet, liver, abdomen and neck veins. Systolic heart failure: When the left ventricle can’t pump blood efficiently. Diastolic heart failure: When the left ventricle doesn’t fill with blood properly. It might pump normally, but less blood is moved. Doctors often use an ejection fraction, a measurement of how well you heart pumps blood to the body, to diagnose heart failure. A lower-than-normal ejection fraction indicates systolic heart failure. A higher-than-normal measurement indicates diastolic heart failure. Congestive Heart Failure: When a weakened heart can’t pump efficiently and blood returning to the heart backs up, causing congestion in the body’s tissues. It often produces swelling in the legs and ankles or fluid in the lungs, leading to shortness of breath. Congestive heart failure is often the result of a heart attack, high blood pressure, a viral infection or heart defect. High blood pressure: If you have high blood pressure, or hypertension, your heart is working extra hard to pump blood throughout your body. Eventually, the heart muscle thickens and becomes either too rigid or too week to pump blood efficiently. Diabetes: With diabetes’ elevated blood glucose (sugar) levels, the body doesn’t make enough insulin and eventually the high blood-sugar levels weaken or damage the heart and its surrounding blood vessels. Damaged heart valve: A heart defect, infection or coronary heart disease that forces your heart to work harder than usual can eventually weaken it. Cardiomyopathy: An enlarged, thickened or rigid heart muscle. Myocarditis: Inflammation of the heart muscle, often caused by a virus. Age. If you’re 65 or older, it’s possible the years have weakened the heart muscle. Sleep apnea: If you can’t breathe regularly overnight, you might have lowered blood oxygen levels and a greater chance of abnormal heart rhythms. Your doctor might recommend a new lifestyle – starting with a more healthful diet, more exercise, weight loss, limiting alcohol and dropping tobacco use – while prescribing several medications to manage your condition. ACE inhibitors: Lower blood pressure. Angiotensin receptor blockers: Lower blood pressure by relaxing blood vessels. Beta blockers: Slow heart rate, lower blood pressure. Isosorbide dinitrate/hydralazine hydrochloride: Relaxes blood vessels, making it easier for the heart to pump blood. Diuretics: Reduce fluid buildup in lungs and associated swelling in ankles and feet. Digoxin: Strengthens the heart, allowing it to pump more blood. If you have a problem with your heart’s rhythm, you might need a pacemaker or defibrillator. A pacemaker uses low-energy electrical pulses to regulate your heart rate. An implantable cardioverter defibrillator, or ICD, is a tiny device implanted in the chest or abdomen that controls potentially fatal arrhythmias (sudden cardiac arrest) using electrical pulses or shocks. Dr. Sabet W. Hashim, chairman of cardiac surgery and co-physician-in-chief of the Hartford HealthCare Heart & Vascular Institute, performed the first mitral valve repair in New England in 1984. While maintaining, for many years, the largest mitral valve practice in Connecticut, he has performed more than 1,500 mitral valve repairs and 10,000 open-heart procedures. 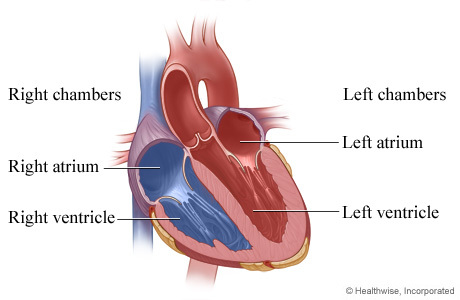 The mitral valve, between the left atrium and the left ventricle, plays a vital role in the heart. The valve has two flaps that open as the heart pumps, allowing blood to flow from the left atrium to the left ventricle. The flaps then close between each heartbeat, forming a seal that prevents blood from leaking back through the valve. Hardened, preventing blood from moving forward through the valve. Loosened, allowing blood to flow backward. Caused a heart murmur, a condition known as mitral valve prolapse. A surgeon, backed by multiple repair-or-replace studies, will always choose repair whenever possible. Although replacement (mechanical valve) is unlikely to fail, it’s more likely a blood clot will develop that could cause a stroke. The American Heart Association and the American College of Cardiology both recommend referral of mitral patients to a surgeon with at least a 90 percent repair (vs. replace) rate. Your surgeon should tell you, before your surgery, whether your valve will be repaired.